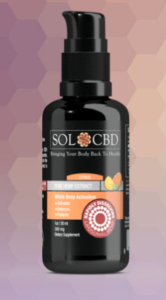 Liposomal CBD oil arriving at the gut is in a ready-to-absorb, bioavailable form that can be taken with or without food intake. Rapid uptake results in fast absorption and provides an excellent value for money. This delivery method promotes intestinal lymphatic system uptake and feeds CBD directly into the immune system and then into your blood. Avoiding elimination by the liver. This Mixture is water soluble and mixes easily with your favorite beverage. Citrus twist flavor and naturally sweetened. 300mg CBD per bottle.